The countdown to Invercargill’s hosting of the 2012 UCI Juniors Track Cycling World Championships is on and riders, officials and spectators will have the chance to get an early preview of the event as organizers announced details of the Junior Worlds Curtain-Raiser event to be held on August 11. With the championships schedule to begin at Stadium Southland Velodrome on August 22, the aptly-named Curtain-raiser is designed to put the finishing touches on event preparations and give the sporting public an early glimpse of what to expect when the world comes to ride. Junior Worlds Event Director Sue Clarke believes the event will be very popular. “Demand for tickets for the World Champs have exceeded our expectations to this point and we are delighted to be able to work with the BikeNZ squad to provide a night of racing that will assist with their preparations on the track and with ours off it,” said Ms Clarke. 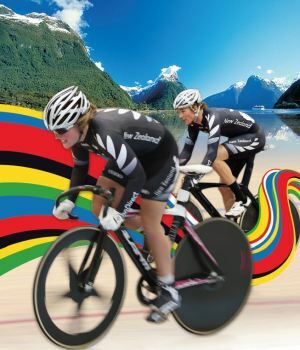 “The full BikeNZ Junior Worlds squad will be in attendance and will run a simulated race session at its morning training session before fronting up to the event in the evening to treat it like a World Championship Finals session. The more we can replicate a race situation, the better it will be for our Kiwi riders,” said Ms Clarke. The event programme is to be finalized but will likely include BikeNZ athletes riding demonstration team pursuits, team sprints, keirins, sprints and selected bunch races. The New Zealand squad assembles to begin its final championship preparations in Invercargill from Monday 6 August. The evening will also include Carnival-style racing from all age groups with local and national riders able to register to ride the event here. Tickets for the event will be available through door sales only for just $10 for adults and $5 for students and children. Meanwhile, tickets for the UCI Juniors Track World Championships continue to sell well and are available through Stadium Southland or online. Corporate hosting options are also set to be launched next week.